The conference “Networks, Museums and Collections. Surrealism in the United States” will bring the complex networks that fostered and sustained Surrealism in North America into academic focus. Who – collectors, critics, dealers, galleries, and other types of mediating agents – supported the artists in the Surrealist orbit, in what ways and why? What more can be learned about high profile collectors such as the de Menils in Houston or Peggy Guggenheim in New York? Compared to their peers in Europe, did artists in the United States use similarly spectacular strategies of publicity and mediation? In what networks did the commercial galleries operate, domestically and internationally, and how did they dialogue with museums? Were American artists included in the musealization of Surrealism in American museums as had occurred with the Parisian circle, or were they, on the contrary, excluded from this development? Divided into five sections (I. Private / Public; II. The Making of Surrealism in the US; III. Agents / Artists; IV. Galleries / Dealers; V. American Surrealism), the conference will offer an innovative and lasting contribution to research and scholarship on the history of art in America while focusing specifically on the expansion and reception of Surrealism in the United States. The conference is a key component of the research project “Le surréalisme et l’argent. Galeries, collectionneurs et médiateurs” in cooperation with the labex arts H2H, which explores to what extent the global success of Surrealism in the 20th century was due to the roles and factors played by private collectors, museums, exhibitions, art collectors as well as the commercial strategies of artists. 10h00 Julien Levy: Progressive Dealer or Dealer of Progressives? 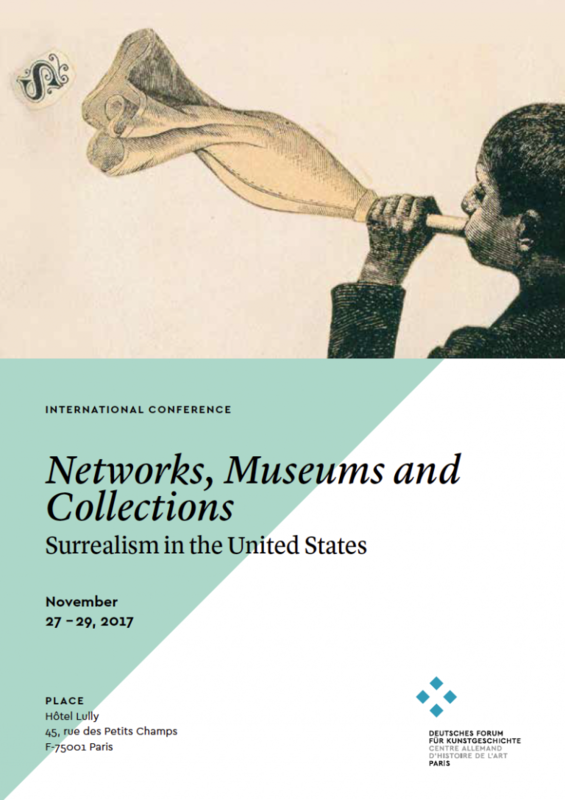 CONF: Surrealism in the United States (Paris, 27-29 Nov 17). In: ArtHist.net, Nov 8, 2017. <https://arthist.net/archive/16684>.